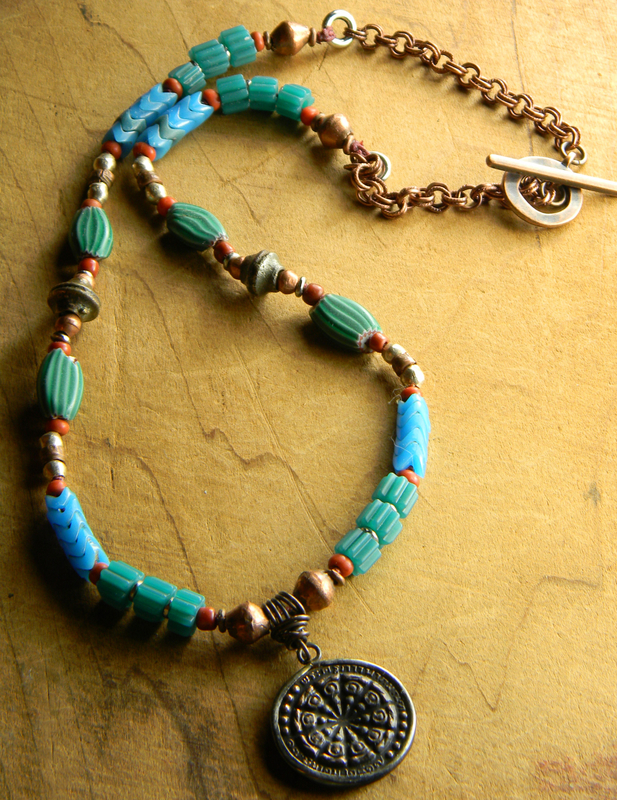 Colorful ethnic beaded necklace design featuring a Buddha Wheel amulet from Thailand. 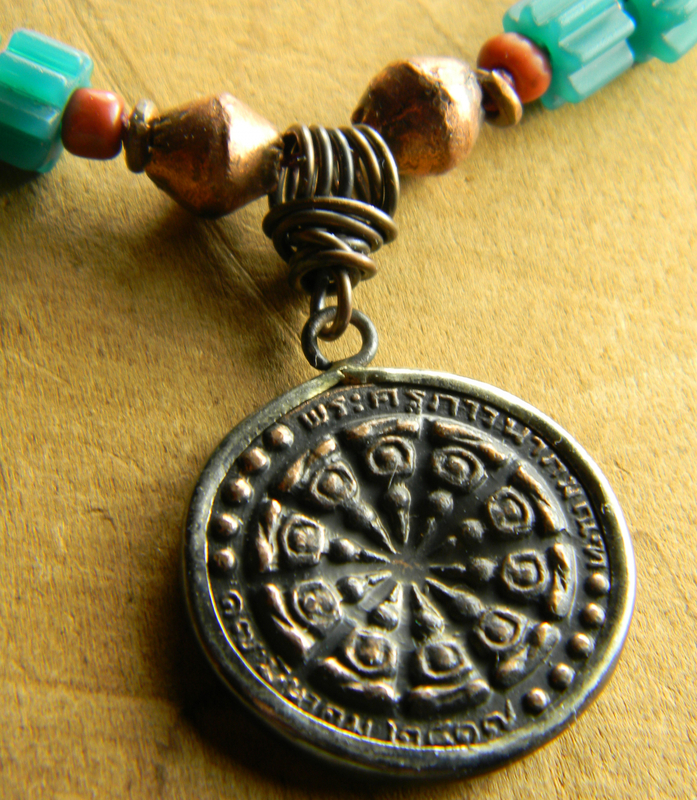 This pendant has amazing detail on both sides in copper, with a rim of rustic silver metal. 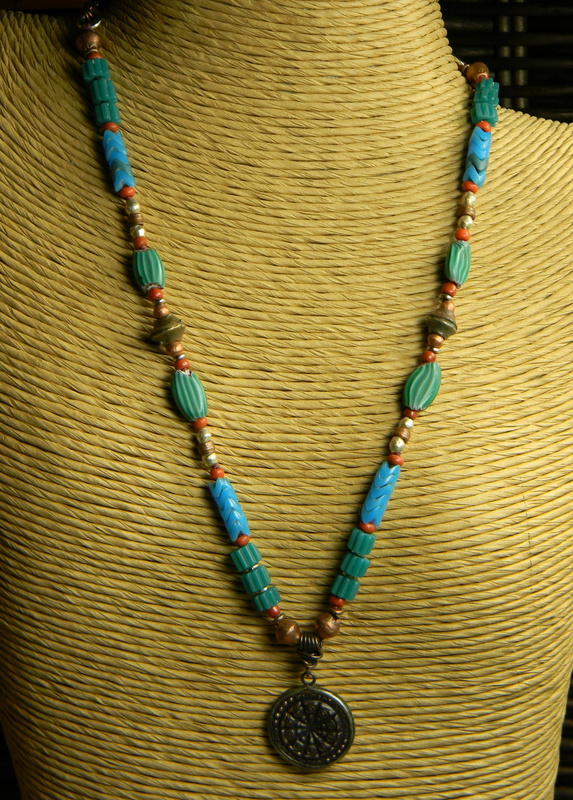 Vintage African glass and metal beads, including green watermelon, turquoise snake, solid copper and white brass beads from Ethiopia, and gorgeous green fluted beads from Nepal arranged in a mesmerizing pattern and knotted on dark red waxed Irish linen cord. 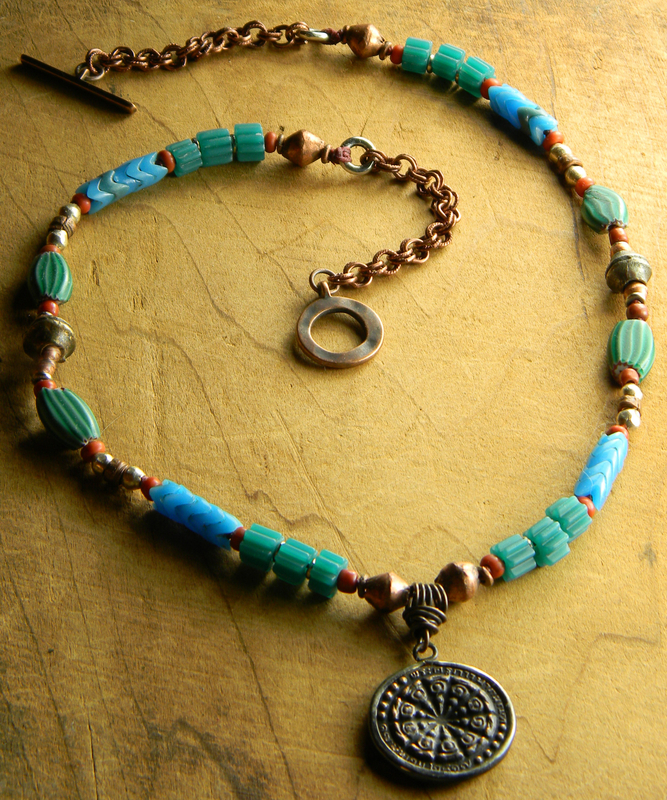 Joined at pewter rings and continuing with double link antiqued copper chain and toggle clasp. The lenth is 19 inches, plus the 1.5 inch pendant drop.